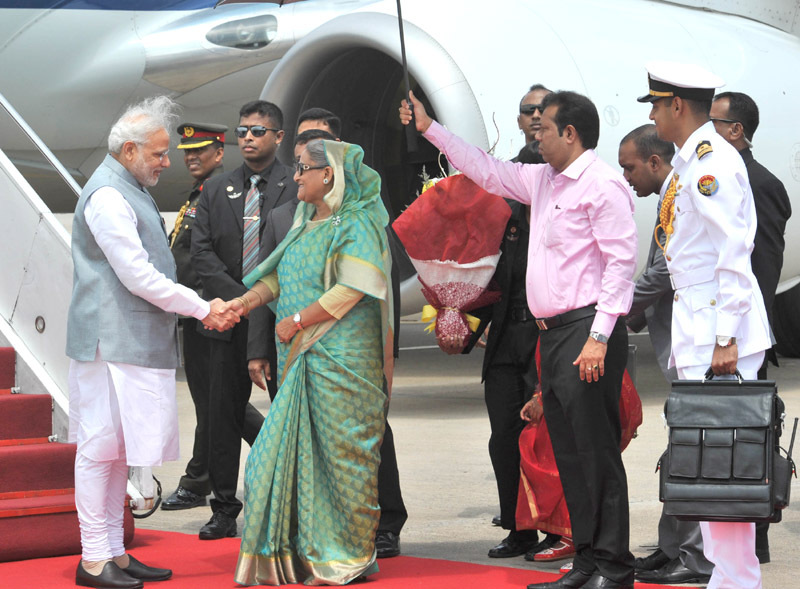 Home / Visit / The Prime Minister, Shri Narendra Modi visit to Dhaka, Bangladesh on June 06, 2015. The Prime Minister, Shri Narendra Modi visit to Dhaka, Bangladesh on June 06, 2015. 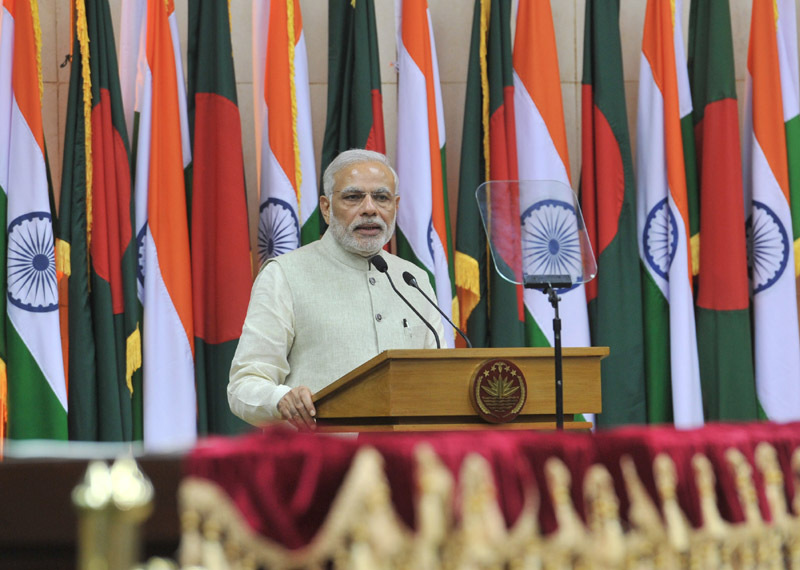 The Prime Minister, Shri Narendra Modi giving his statement to media at the Joint Press Briefing, in Dhaka, Bangladesh on June 06, 2015. The Prime Minister, Shri Narendra Modi being welcomed by the Prime Minister of Bangladesh, Ms. Sheikh Hasina on his arrival, in Hazrat Shahjalal Airport, Dhaka on June 06, 2015. 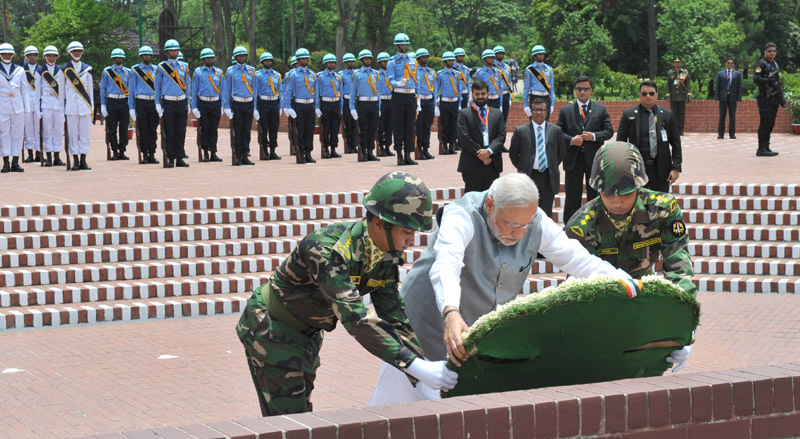 The Prime Minister, Shri Narendra Modi paying homage to martyrs by laying the wreath at National Martyrs' Memorial, in Savar, Dhaka on June 06, 2015. 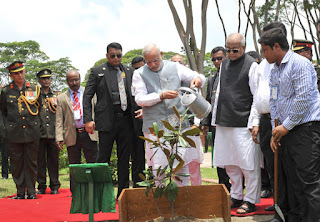 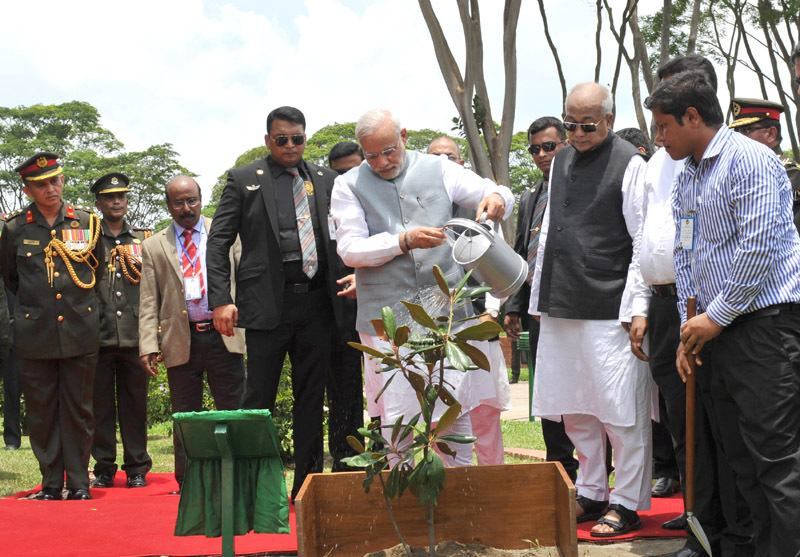 The Prime Minister, Shri Narendra Modi planting a sapling at National Martyrs' Memorial, in Savar, Dhaka on June 06, 2015. 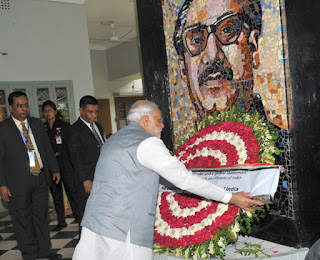 The Prime Minister, Shri Narendra Modi paying tributes to "Bangabandhu" Sheikh Mujibur Rahman, at Bangabandhu Memorial Museum, in Dhanmondi, Dhaka on June 06, 2015. 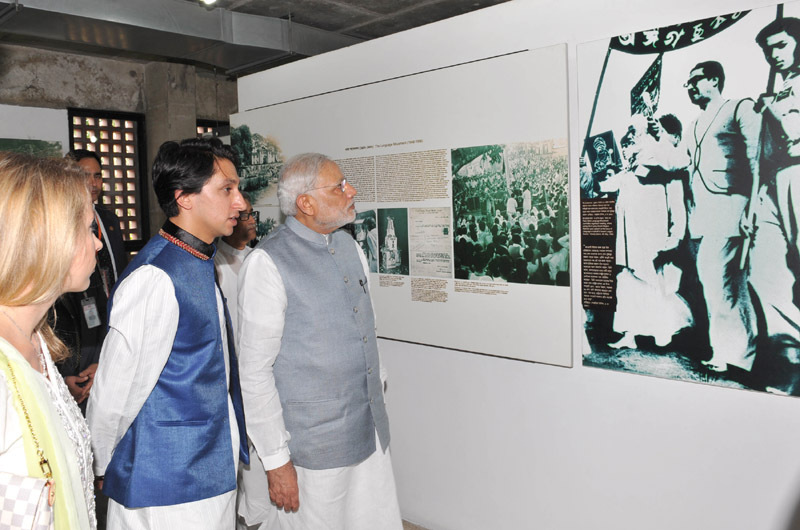 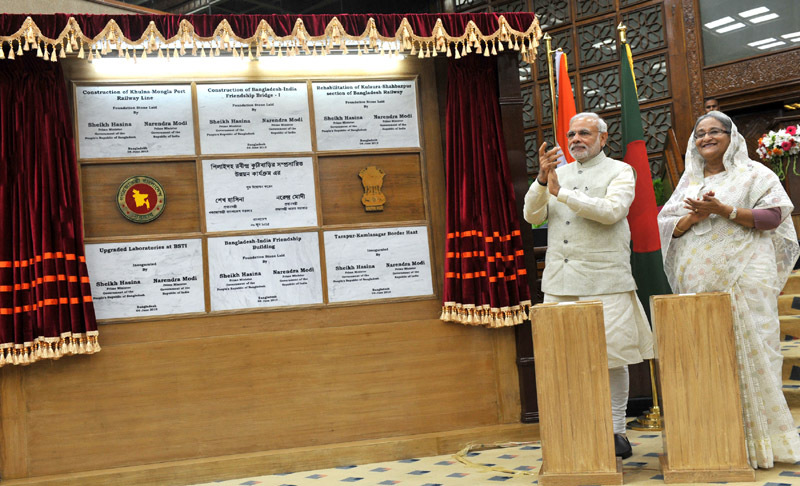 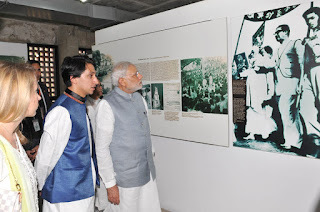 The Prime Minister, Shri Narendra Modi visiting the Bangabandhu Memorial Museum, in Dhanmondi, Dhaka on June 06, 2015. The Chief Minister of West Bengal, Kumari Mamata Banerjee meeting the Prime Minister, Shri Narendra Modi, in Dhanmondi, Dhaka on June 06, 2015. 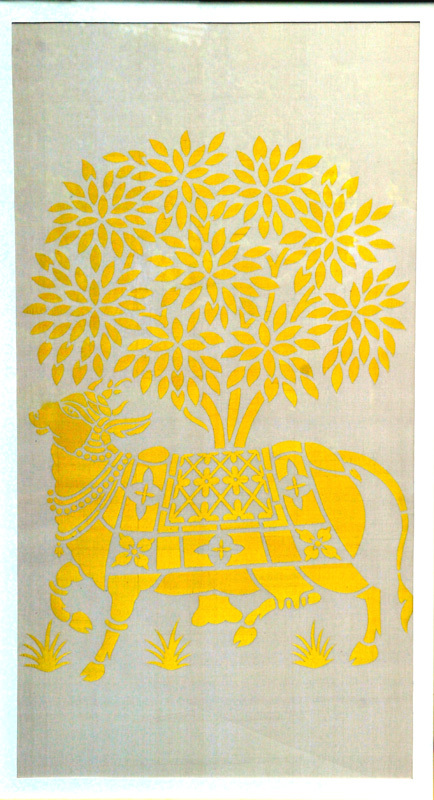 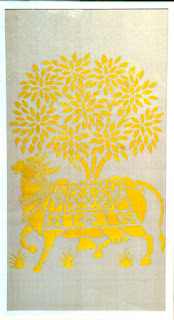 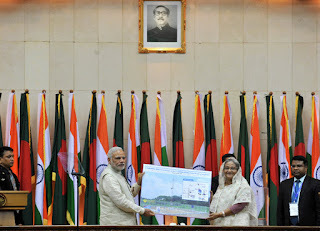 The Prime Minister, Shri Narendra Modi’s gift to the Prime Minister of Bangladesh, Ms. Sheikh Hasina a hand-woven tapestry from Venkatagiri, Andhra Pradesh woven in Jamdani style - a well-known tradition in Bangladesh, in Dhaka on June 06, 2015. 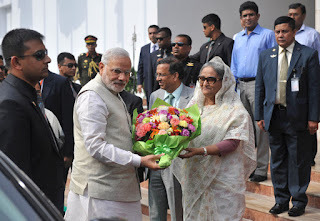 The Prime Minister, Shri Narendra Modi and the Prime Minister of Bangladesh, Ms. Sheikh Hasina fagging off the Dhaka-Shillong-Guwahati bus service, in Dhaka, Bangladesh on June 06, 2015. 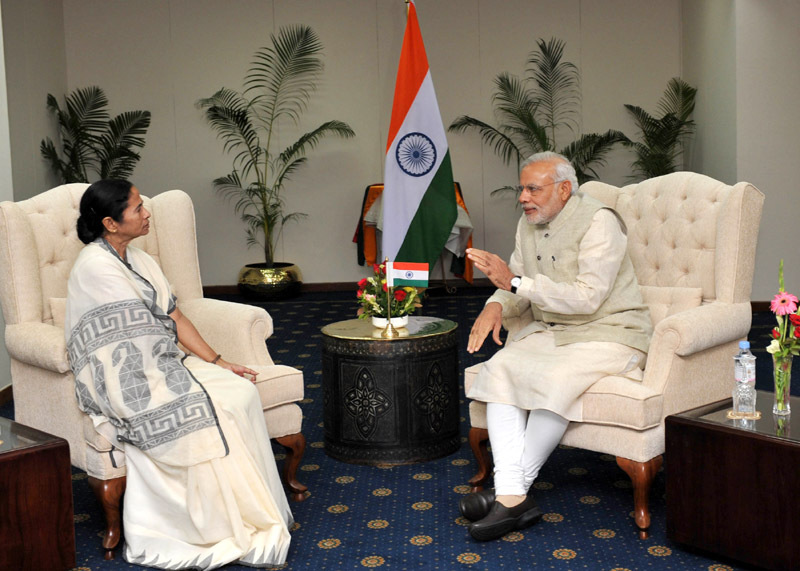 The Chief Minister of West Bengal, Kumari Mamata Banerjee is also seen. The Prime Minister, Shri Narendra Modi being welcomed by the Prime Minister of Bangladesh, Ms. Sheikh Hasina at ceremony to flag off International Bus Services between India & Bangladesh, in Dhaka on June 06, 2015. The Prime Minister, Shri Narendra Modi presents to the Prime Minister of Bangladesh, Ms. Sheikh Hasina, a transcript of Parliamentary debates on LBA, in Dhaka, Bangladesh on June 06, 2015. 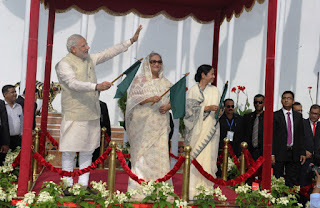 The Chief Minister of West Bengal, Kumari Mamata Banerjee is also seen. 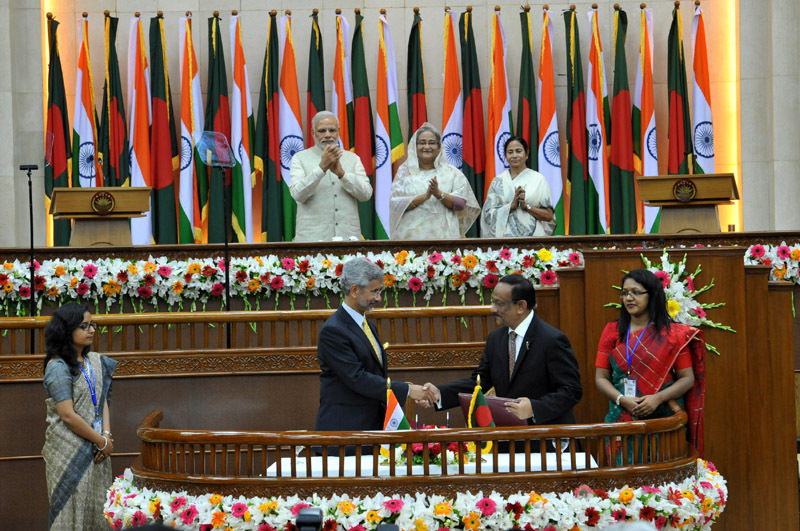 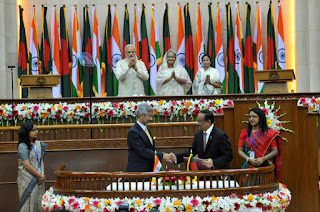 The Prime Minister, Shri Narendra Modi and the Prime Minister of Bangladesh, Ms. Sheikh Hasina witnessing the exchange of agreements between India & Bangladesh, in Dhaka, Bangladesh on June 06, 2015. The Chief Minister of West Bengal, Kumari Mamata Banerjee is also seen. 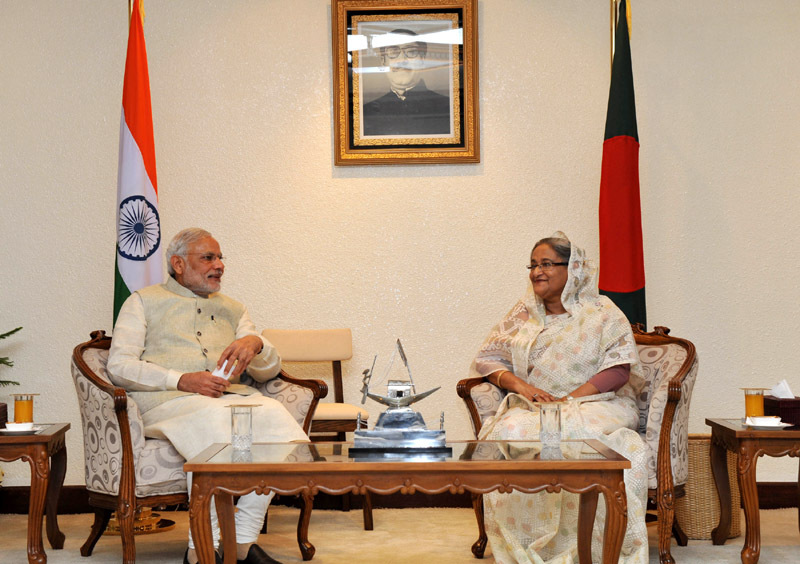 One on one meeting between the Prime Minister, Shri Narendra Modi and the Prime Minister of Bangladesh, Ms. Sheikh Hasina, in Dhaka, Bangladesh on June 06, 2015. The Prime Minister, Shri Narendra Modi and the Prime Minister of Bangladesh, Ms. Sheikh Hasina at the Joint Unveiling of Foundation Stones, in Dhaka, Bangladesh on June 06, 2015. 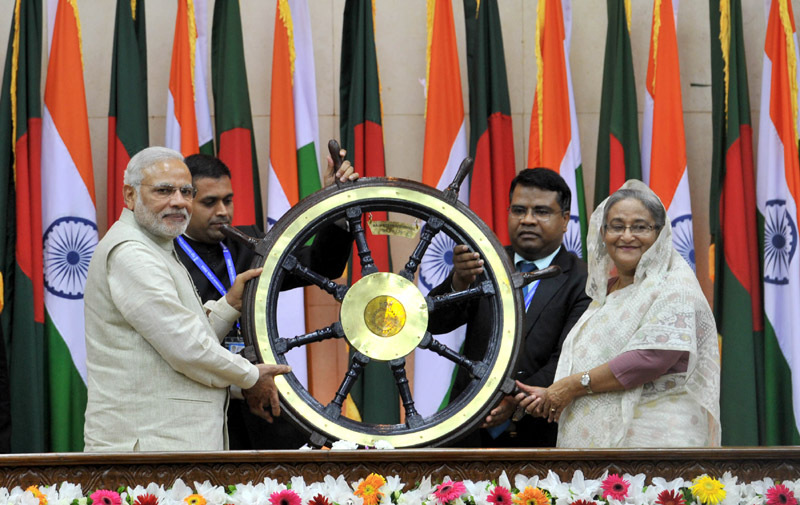 Main steering wheel of INS Vikrant handed over by the Prime Minister, Shri Narendra Modi to the Prime Minister of Bangladesh, Ms. Sheikh Hasina, in Dhaka, Bangladesh on June 06, 2015. 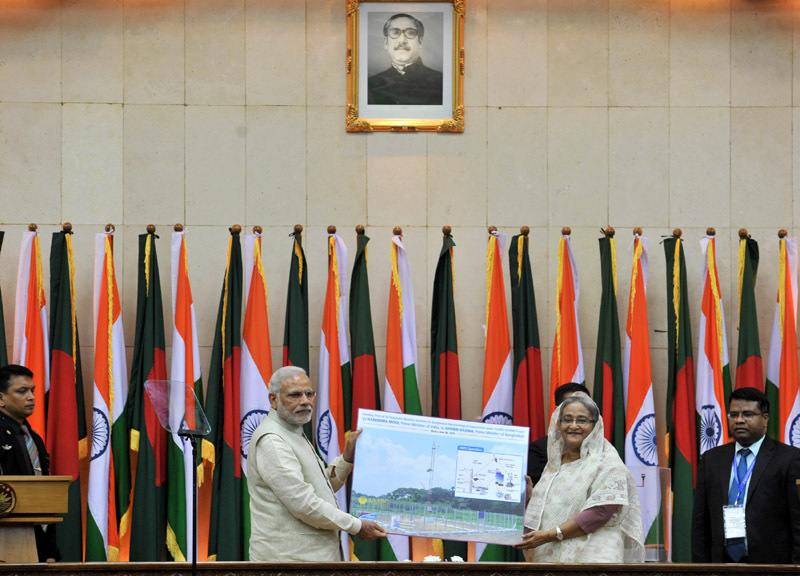 The Prime Minister, Shri Narendra Modi and the Prime Minister of Bangladesh, Ms. Sheikh Hasina exchanging the memorabilia, in Dhaka, Bangladesh on June 06, 2015.